Every property owner in Minnesota has the right to appeal its assessed value on their property tax statement. At that point, an appeal can go to tax court. But what happens if the difference between the value assessments from the Revenue Department and the tax court is $2.2 billion? That question is at the core of a pending Minnesota Supreme Court case that could drastically affect the finances of municipalities in 13 Minnesota counties. Because, when the Department of Revenue is determined by the tax court to be in error in a property valuation, a local government has to issue a refund to the property owner. That would change under HF424. 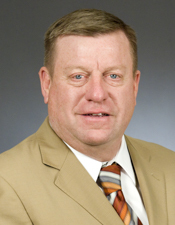 Sponsored by Rep. Mike Sundin (DFL-Esko), it would circumvent the potential damage to municipal budgets by making the state responsible for issuing refunds. The House Property and Local Tax Division laid the bill over Monday for possible inclusion among its recommendations to the House Taxes Committee for the omnibus tax bill. There is no Senate companion. The case before the Minnesota Supreme Court is Enbridge Energy Limited Partnership v. Commissioner of Revenue. Enbridge owns an oil pipeline system (the Lakehead system) that runs from Canada across several states and through 13 Minnesota counties. The company has challenged the Revenue Department’s assessment of its system’s value in determining how much Enbridge owes in state property taxes. The company’s appeal covers each tax year from 2012 to 2018. In 2014, the difference between the assessed values from the department and tax court was about $2.2 billion. It’s not just the Enbridge case. Joann Wright, property tax manager for Omaha-based Northern Natural Gas, said that, on Jan. 30, the Minnesota Tax Court ruled that its system had been overvalued by the Department of Revenue by 24 percent in 2015 and 33 percent in 2016. Northern Natural Gas estimates that the refund due to it for the tax years 2015-18 will be about $17 million, with Dakota, Rice, Freeborn and Carlton counties the most heavily impacted. Noting the strain on local and county governments, she spoke in favor what she referred to as the “State Pays” bill. The Department of Revenue estimates that the change in law would cost the state about $7.7 million annually between Fiscal Years 2020 and 2023.